After a couple of years of fleeting highs and extreme lows, new music has now emerged squinting through the bright light of what seemed like a long and twisted tunnel. Only when we truly get kicked down do we learn what we’re made of. Through the rebuild, reflection and remains we find out who and what we are. We live on. We love more. We let go. Here comes a collection of songs written in the aftermath of one of the hardest years I’ve ever been through. It feels so long ago but I’ve only just found the voice for it now. 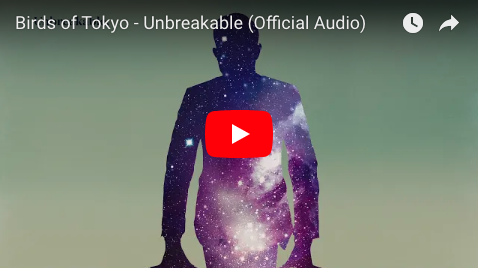 The first single ‘Unbreakable’ is out now and we’ll be preforming it as part of The Invictus Games. « Birds Of Tokyo to play the Closing Ceremony of the Invictus Games this October.